This week's office crush comes courtesy of the super beautiful Cath Kidston. Now perhaps it's because i've been travelling up and down the country all last week, but let's just take a second to look at that map. Amazing...! 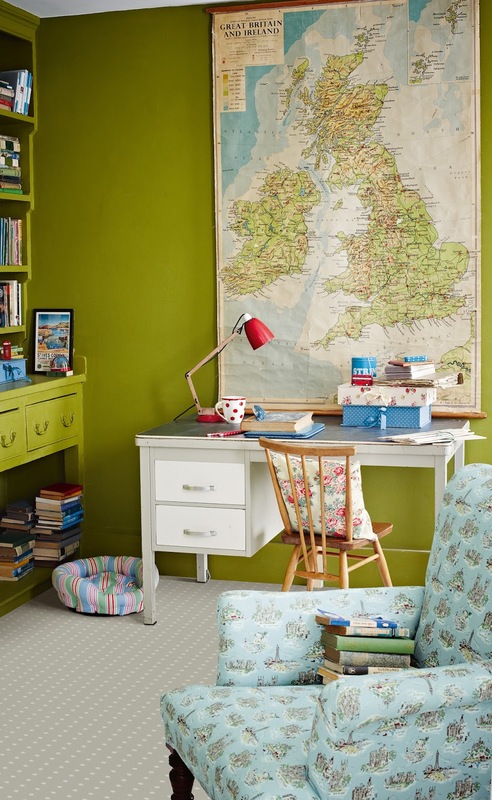 I couldn't promise i'd get much work done with a map like that in front of my desk - i'd be too busy planning my weekend's adventures, or making cups of peppermint tea in that spotty mug and curling up on the chair with a good book. Perhaps i'd find some time to do some office filing in those beautiful storage boxes though...perhaps!